Students in the foundations phase of the curriculum remain at the regional site at which they begin their medical education for the entire 18 months (with the exception of Wyoming. Wyoming students return to Seattle for term two, months 13 – 18, at least until 2017). There is less classroom time, limited lectures, more time use of active learning content in cross-cutting scientific areas, such as pathology, anatomy and pharmacology, is consolidated by integrating these into all courses. Cell physiology, genes and genetics. Immune system, microbial biology, infectious diseases, inflammation and repair and skin-connective tissue. Cardiovascular system, respiratory system, renal-urinary system, multi-system fluid balance. Metabolism and nutrition, diabetes and obesity, gastrointestinal physiology, endocrinology. Neuroscience and neurology, neurosurgery/trauma, sensory systems (ophthalmology/otolaryngology), psychiatry, anesthesia. Preparation for USMLE step 1, introduction to research skills, transition to clerkships. Threads and themes are integrated throughout the new curriculum: scientific threads (pharmacology, pathology, anatomy), clinical threads (foundational clinical experience and clinical skills) and themes (areas identified as important to integrate into the blocks, clinical threads and clerkships: primary care; population health, health equity and global health; diversity, communication and interprofessional education; professionalism and ethics; lifelong learning and scholarship). Students begin their education with training in basic clinical skills during a combination immersion and orientation and have early exposure to patients in a longitudinal clinical experience focused on clinical skills, primary care, chronic care and continuity of care. Students spend one day each week out of the classroom working with physicians, faculty and other health professionals in patient care settings as well as completing special experiences (visiting labs, completing simulations, etc.). Students also have clinical skills training from their college mentors. Non-clinical selectives are courses relevant to medical education but not involving direct patient care. Non-clinical selectives are offered within foundations phase intersessions and during other non-required blocks of time. Spanish for the Health Professional teaches vocabulary and pronunciation of words to conduct an interview/patient history and perform a physical examination. Indian Health teaches how to use medical resources to solve clinical problems and understand how Native Americans utilize traditional Indian medicine for their health care. Alternative Approaches to Healing explores philosophies and practices of the major alternative approaches to healing accompanied by presentations by practitioners of chiropractic, naturopathic, homeopathic and traditional Chinese medicine. Wilderness Medicine​​ provides didactic and field experience in medical emergencies and situations unique to rural and wilderness settings, including, but not limited to, patient assessment, extrication, trauma, burns, water rescue, hypo/hyperthermia, toxins and high-altitude. During summer after their first year, students complete an Independent Investigative Inquiry (III) project in one of five areas. Data-gathering/hypothesis-driven inquiry: This selective can take the form of a basic laboratory study, a survey, secondary analysis of an existing dataset, a chart review, a qualitative study or a prospective clinical trial. 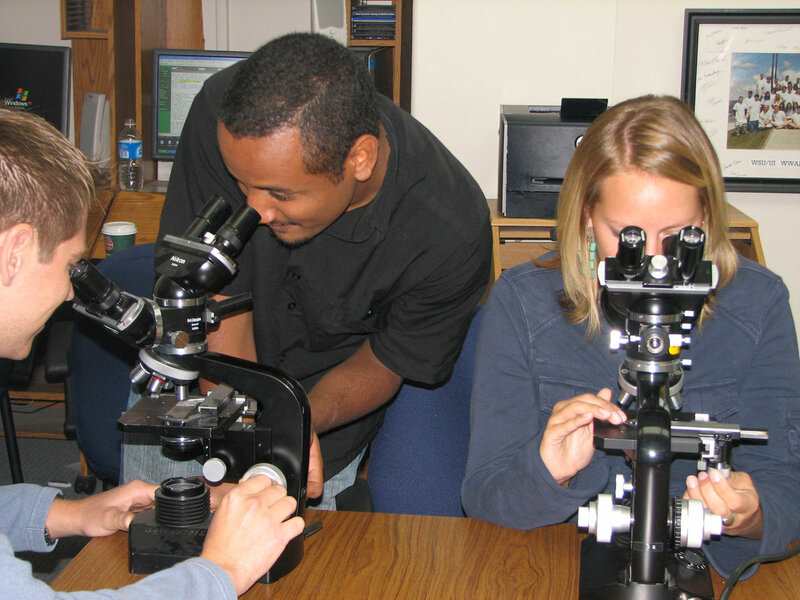 The Medical Student Research Training Program (MSRTP) is part of this selective. MSRTP provides approximately 40 funded opportunities each year for students enrolled at the University of Washington School of Medicine to participate in a full-time, 10-week summer research project between their first and second years under the supervision of a faculty mentor. Critical review of the literature: A critical review of the literature poses an unresolved scientific question relevant to the practice of clinical medicine and attempts to answer that question using evidence published in medical literature. Experience-driven inquiry – Rural/Underserved Opportunity Program (R/UOP): RUOP is a 4-week elective immersion that provides students an opportunity to work side-by-side with a physician preceptor, providing care to either rural or urban underserved populations. Students will closely observe health care in a community setting then develop a project based on those observations. The project could take several forms, including a community needs assessment, a plan for a community health intervention, or evaluation of a service delivery project. Special simulation selective: The student will have the opportunity to research and develop the content for one or more simulated patients. Promoting community health in developing countries​: This option is for students with a strong interest in global health and underserved communities and is particularly suited to students on the Global Health Pathway.